I went to college in a small town in Eastern Washington. For four years, 8-10 times a year, I drove between Seattle and Walla Walla. I hated the drive – until my senior year. A shift happened during the drive back to college after winter break. I went from hating the natural landscape of Eastern Washington to loving it. The massive fields of turned soil, yellow grains, and sage that extend to the horizon on both sides… The desert landscape that seemed picked over, that reminded me of death suddenly looked golden and rich. I’m stoked to share our mini tour of Quincy (download a print-friendly version, view the custom Google map). It’s small-town USA at it’s best. One of everything, spread out. A city laid out like a ginormous grocery store with half-empty shelves that’s built bigger than necessary – but when you got that much land, it’s hard not to sprawl. It’s personal space where one block seems too close yet too far away. You’ll be hittin’ up spots recommended by locals. Why? 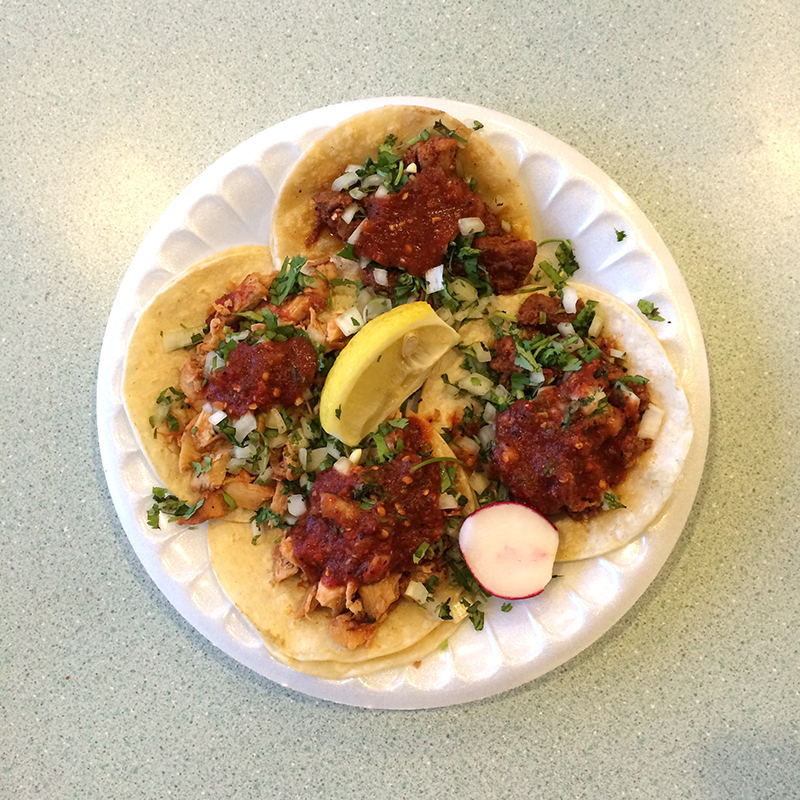 Because when a local recommends THE spot he gets his grub on, you listen. When he mentions that it’s a hole-in-the-wall spot servin’ up authentic Mexican food AND it’s next to the town USPS, you go! 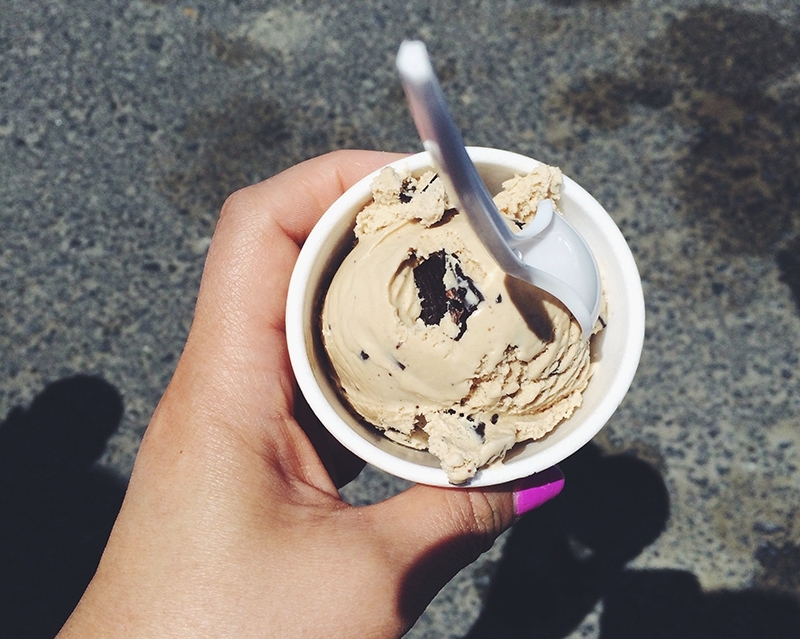 We knew we were golden when we pulled up to the second recommended spot – the town ice cream shop – and spied a father gripping a brown bag full of popsicles with one hand and holding his son’s hand with the other. We didn’t have to read their business card, “The best ice cream bars and popsicles in the state – Mexican style!” to know it! 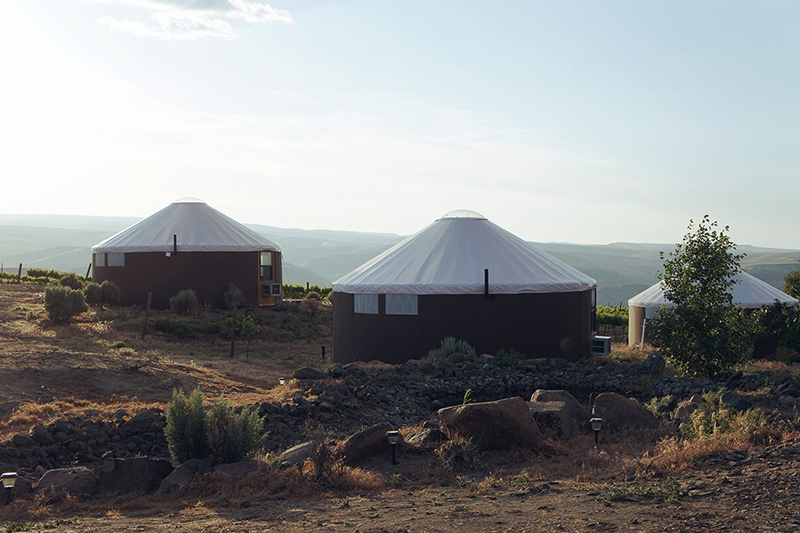 The Cave B Yurts may be a splurge but everything else on the itinerary is dirt cheap. So if you’re like me and don’t do camping but wanna get down with nature, head East and get your glamp on! 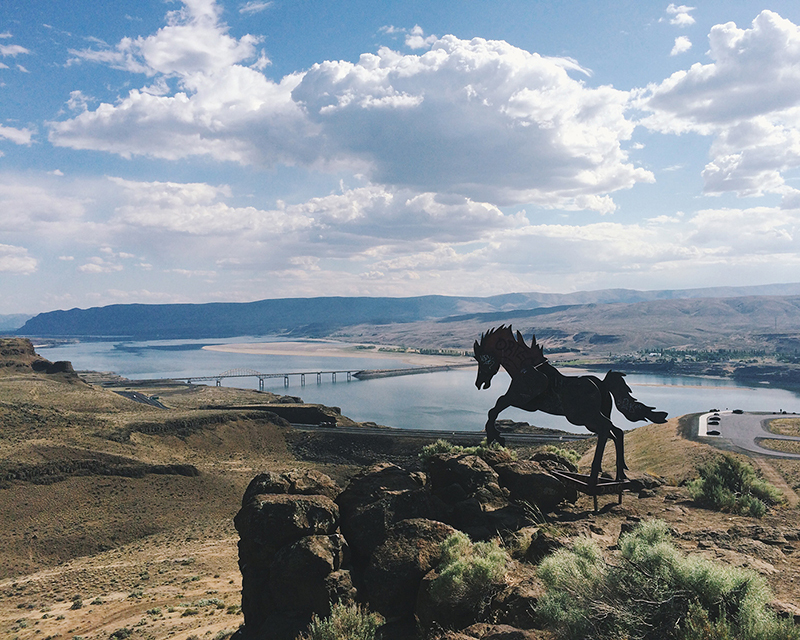 Take I-90 East, Exit 139 and follow signs to Wild Horse Monument. You’ll spy the 15 bigger-than-life steel horses from the highway. But the view from below is nothing compared to standing next to them, surrounded by sage, wild flowers, and the Columbia River. You’ll be swallowed by the vastness of the canyons and it’s awesome. 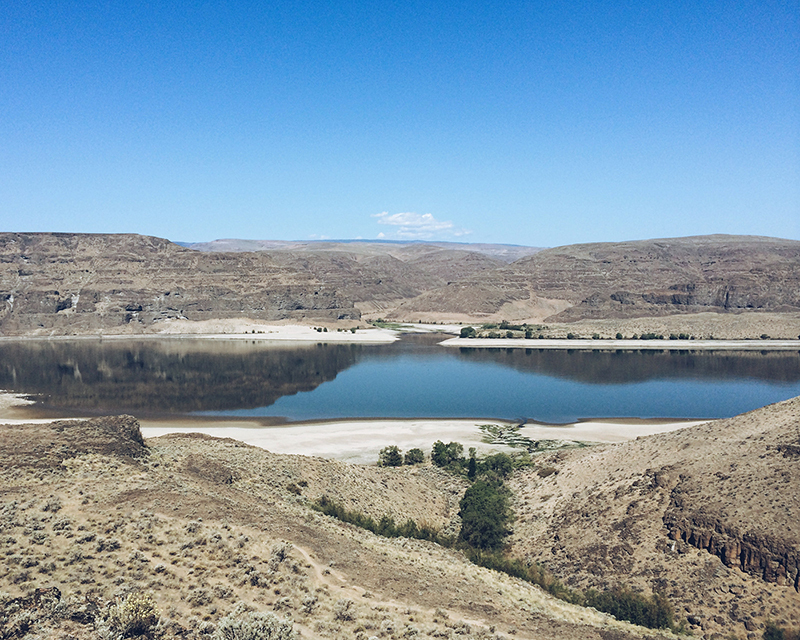 To the west, peep the Gingko Petrified Forest State Park. Pro tip – before you climb up, swap out your sandals for sneakers. It’s a short but steep and rocky trail to the top of the ridge (1 mile, round trip). 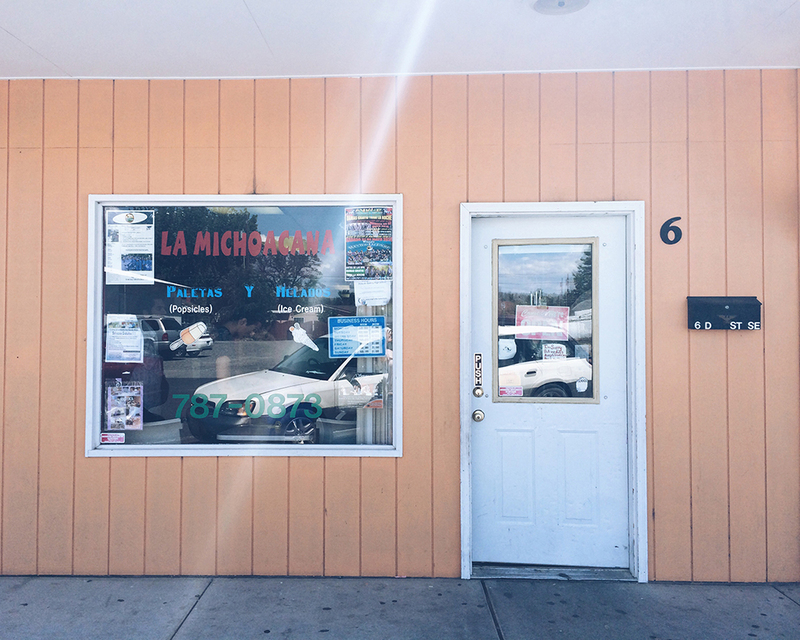 Don’t be fooled by the decor, this Mexican grocery shop/deli serves grubbin’ food. Split a few tacos and a torta. Order horchata (trust us – just do it). And don’t look crazy when your order is rung up – the prices are that good. Grab a few groceries on your way out (conchas!). You’ll need snacks for later and can grab breakfast for tomorrow morning. Be prepared – bring a cooler. Go crazy with the popsicles, order one of each flavor. For $1.50 a pop, why not! And don’t forget to try their ice cream. If you’re a fan of Mexican sweets heavy on the salt and chili powder, try their mangoneada. Served in a huge cup with a jumbo skewer, it’s part popsicle, part slushie – chunks of mango mixed with chili powder, lime, salt and a sour, spicy sauce called chamoy. Turn the desert life up a notch with a wine tasting. 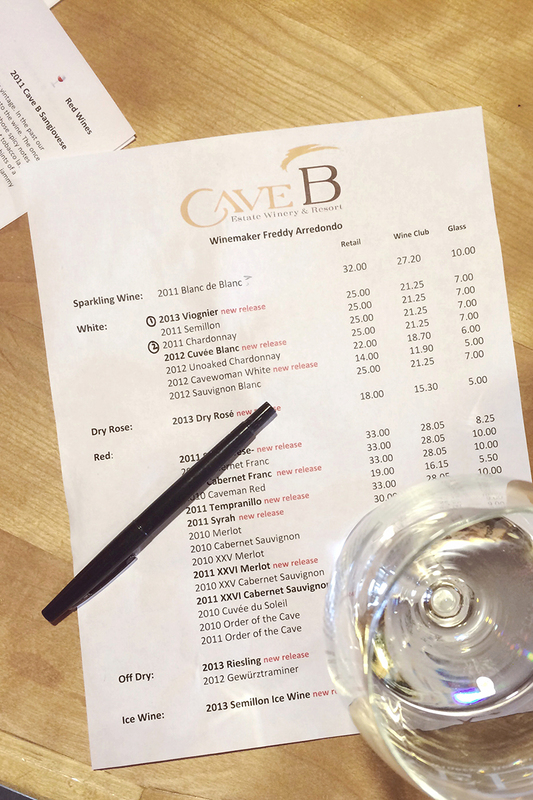 Find your way to the Quincy Tasting Room and shell out $7 for a Cave B wineglass and 10 tastings, 5 whites and 5 reds. No appointment necessary. Don’t rush it – drink in everything around you. Grab a bottle of wine, a block of cheese, a box of crackers, and the salami plate (all available for sale in the tasting room, at reasonable prices) to take back to your yurt for dinner. In the middle of a vineyard, with the Columbia Gorge 20 ft from your door stop, you’ll discover a different sort of mecca. 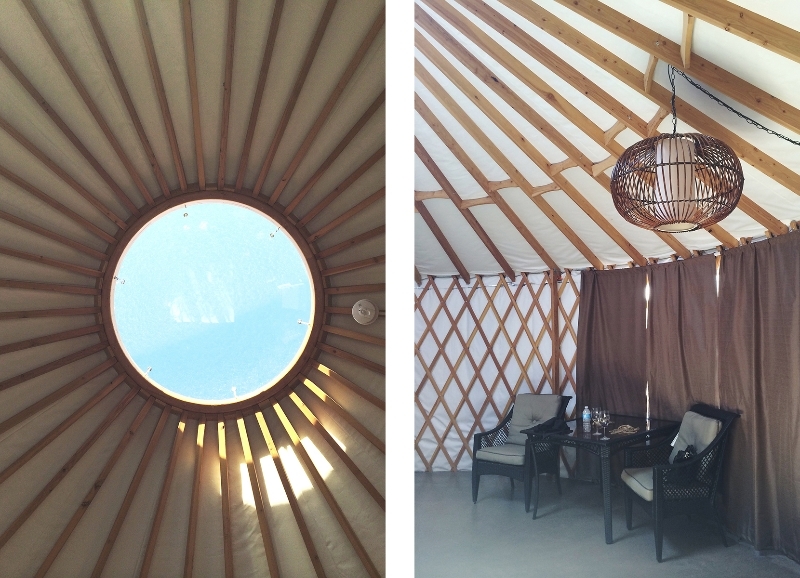 Gorgeous yurts framed with sustainable Douglas Fir, a king-sized bed, private bathroom (fully operating showers!! ), concrete floor, A/C, patio with chairs… wi-fi?! But the best part? The skydome! Stargazing from bed. Wake up early the next morning, brew some coffee or make tea (included in each yurt), bust out the conchas, and eat breakfast outside. Soak in the calm morning air. Totally refreshed (unless you hit the wine a little too hard), squeeze in a short hike down through the gorge to the banks of the Columbia River (1.5 hours, round trip). It’s a steep hike and depending the time of the year, it can be scorching hot. Make sure to pack sunscreen and plenty of water. Ask the front desk staff for a map and fill up your water bottle. Or ask for a complimentary bottle of water. And don’t be surprised by the old car and desk at the bottom of the hike – remnants of a homestead from the 1960’s! When you’re deep in the gorge, where all the buildings disappear… embrace it. That’s the Yurt Life.